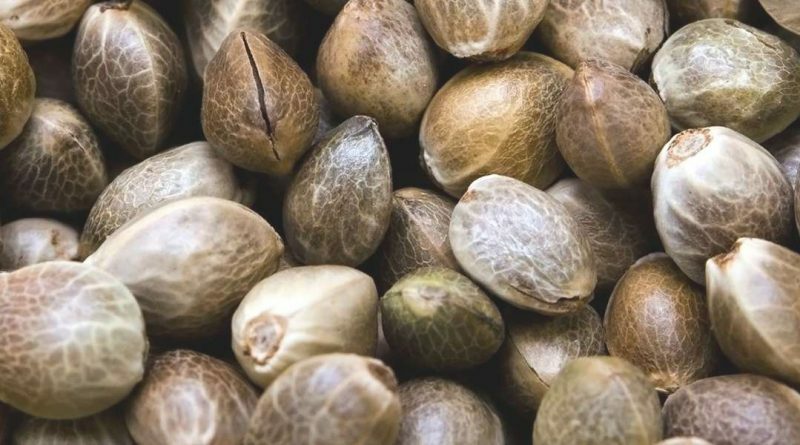 If you’re planning to grow marijuana from seed, it’s important to understand the different options so you can pick the best type of weed seeds to grow. In this article we’ll discuss the differences between regular seeds, feminized seeds, and autoflower seeds. 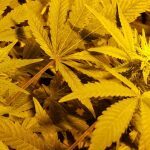 You’ll learn the difference between sativa, indica, and hybrid strains, how long it takes to grow weed seeds, different ways you can germinate your seeds, the best lighting for weed seeds, and what to do once your new plants have rooted. Regular weed seeds contain both male and females. You’ll need to plant twice at least twice as many regular seeds as you intend to flower. Each seed has a 50-50 chance of being female. For example, if you’re looking to grow four marijuana plants you should plant 10 seeds to be safe. For indoor growers regular weed seeds will begin flowering when you switch your lights from 18-20 hours on down to 12 daily. 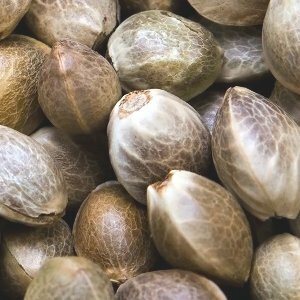 If you grow regular marijuana seeds it’s critical to remove male plants as soon as you identify them. If you don’t you risk having the males pollinate the females during the flowering cycle, which will produce buds with seeds in them. 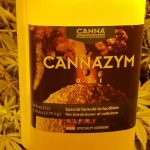 Regular seeds should be used if you intend to grow a mother plant for future cloning. Growers looking to grow a mother from seed will often do a little pheno-hunting, growing a bunch of plants and choosing the most desirable. Feminized weed seeds will only produce female plants. Feminized seeds are a great choice for the small home grower looking to grow a small number of plants. They’re also good for new growers who don’t want to deal with identifying and removing male plants. Feminized seeds will flower when you drop to 12 hours of light per day. Feminized seeds should not be used for cloning. If you’re looking to clone future generations of plants, choose regular seeds instead of feminized. 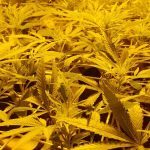 Auto-flower weed seeds will automatically flower without requiring you to switch the lighting cycle from 18-20 hours of light to day down to 12 hours. These seeds are cross bred with Cannabis Ruderalis, a variety of hemp with almost no active THC. Early autoflower strains often had less potency due to this, but as breeding has evolved this is less of a concern. Auto-flowering marijuana seeds are great for new growers since they take the guesswork out of when to flip your lights. 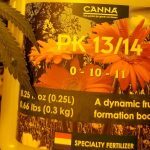 Auto-flower seeds are also great for outdoor growers since they allow you to harvest earlier in the season then with traditional seeds, allowing for a second harvest later in the fall with regular or feminized seeds. Sativa vs. Indica vs. Hybrid: Which seeds should I choose? There’s a ton of different weed strains available. It can be somewhat intimidating to choose the right variety. Use a reliable seed provider to ensure quality genetics. You’ll get more consistent results that way. 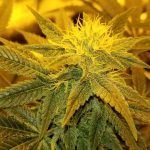 Read the descriptions of the strain closely to ensure you understand the timing requirements, ease of growth, amount of potential yield, and preferred growing conditions. Sativa seeds produce plants with an energetic, upbeat high that’s great for a daytime smoke. Sativa plants have genetics from areas with longer grow seasons, so they often require 10-14 weeks of flowering or more. They stretch taller and often have more space between bud sites, resulting in a lower yield for indoor growers compared to their indica cousins. They often have a lower THC content than indica strains as well. But the uplifting high is favored by lots of smokers despite taking more time to grow. Indica seeds produce plants that are shorter, denser, and bushier than sativa plants. 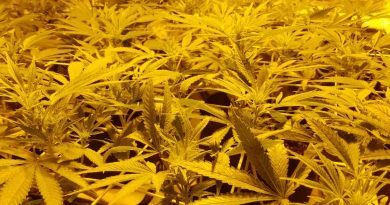 They’re favored by indoor growers and outdoor growers in areas with shorter grow seasons due to their flowering cycle timeframes around 8-9 weeks. They deliver a heavy, narcotic high are are typically higher in THC than sativa strains. Hybrid seeds are crosses between indica and sativa strains to capture desirable characteristics from both. Most varieties of weed seeds available today are hybrids. Hybrid varieties have shorter flowering times than true sativas. Your weed seeds will typically germinate within 1-7 days. You can speed this timeframe up by using a heating pad underneath the seed container and a humidity dome to create a warm, moist environment. Once your seeds have established roots you’re ready to transplant them. 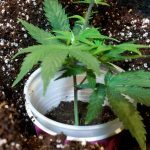 Learn how to transplant rooted weed seeds in coco coir. Growing seeds in clear plastic cups inside a dark red cup will allow you to check for new roots easily. This weed seed was germinated in coco coir under a CFL light. There are a bunch of ways you can grow weed seeds. You can germinate your seeds in soil, soiless mixes, rockwool, plugs, coco coir, or even in a damp paper towel. All mediums work well, as weed seeds are pretty simple to root as long as you keep them moist and warm. 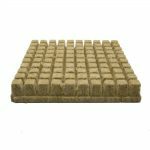 Learn how to grow weed seeds in rockwool cubes or in soil or soiless mixes. 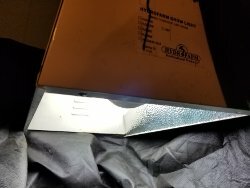 Weed seeds grow best under lighting that isn’t too intense. 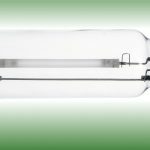 Fluorescent lights such as CFL or T5 tube lighting are a popular choice. LEDs work as well. 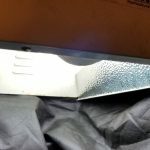 High-intensity discharge lighting such as Metal Halide (MH) and High-Pressure Sodium (HPS) lights can be too intense and too hot at higher wattages for newly rooted seedlings. You can also grow your seeds the old fashioned way, plant them in a sunny window. 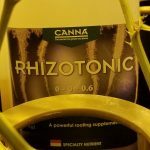 Your weed seeds have rooted: What’s next? Once your marijuana seeds have rooted, you’re ready to transplant them. One advantage of planting your seeds in the same medium that you intent to grow will make the transition easy. Learn how to transplant rooted plants in coco coir. 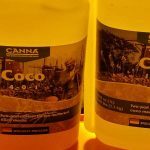 If you’re new to growing and want to give coco a shot, check out our guide to growing weed in coco coir. 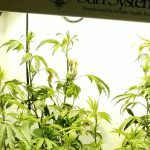 Learn about regular/feminized/autoflower seeds, the difference between sativa, indica, and hybrid strains, germination timeframes, growing mediums, lighting, and transplanting.